Easy Forte Review – Is it safe? Read full review. As you search for a weight loss supplement to help whip your body into shape, you may be taken in by flashy phrases like “powerful fat burner” or “kill your appetite.” However, you should never forget what the point of getting healthy is: to keep your body in good shape. It’s not about losing weight, it’s about becoming healthy. If you agree with this, you may want to try looking for a more well-rounded supplement than just a simple fat burner or metabolism booster. 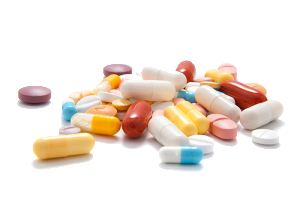 There’s no shortage of supplements that promise to help improve the way your body functions. 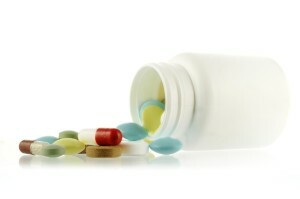 One of these many supplements that relates itself to the weight loss process is called Easy Forte. Allegedly, Easy Forte can cleanse your digestive tract, which would make losing weight naturally more effortless than ever. That could be promising, but how much weight can we realistically expect to lose using this supplement? We decided to take a look so we could help you learn just that. The name of the supplement company that makes Easy Forte is Natural Products International. While the company claims to be international, they are actually located in Mexico. This would explain why the company’s website – which is not very helpful, or even usable – is only available in Spanish. Natural Products International keeps their web presence in a pretty sorry state: all of the navigational links on their website are broken, which means that it’s impossible to reach the contact page and obtain the information that you would need to call or email them. When a company is this disorganized, we tend to get a bad feeling about them. Easy Forte claims that its goal is to clean out your system. Ideally, they say this should make it easy for your body to lose weight naturally. Unfortunately, this is about all the information they give us. Without additional research, you have no way of knowing what Easy Forte is going to do to your body, how it’s going to work, or how much weight it will even help you lose (if any). We generally like to get a little information from the company than that, at least before we try their products. 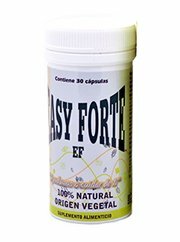 While information wasn’t easy to find, reviews of Easy Forte were. We haven’t had a good feeling about this product yet, but unfortunately these reviews confirmed our suspicions. It does not seem like Easy Forte has helped that many people lose any amount of weight at all. A full list of Easy Forte’s ingredients might be located on the official Natural Products website somewhere. However, due to the broken state of the site, it’s impossible to navigate anywhere else besides the home page. You should never trust or ingest a product if you don’t know what’s in it. That’s an easy way to run into some unexpected and unhealthy side effects. If you don’t know what’s in it, don’t take it. According to users who’ve tried it, Easy Forte can leave you feeling physically sore for several days at a time. It’s also capable of resulting in common side effects, like headaches and diarrhea. Unfortunately, we don’t know what ingredients could possibly be causing these side effects, because we don’t know what’s in Easy Forte. There are plenty of places where you can easily buy this supplement, so you shouldn’t have difficulty getting some for yourself to try. It’s pretty impossible to find any official information about this supplement due to how badly its website works. As a result, there’s no full list of ingredients available, which in turn prevents us from knowing what kinds of side effects may result from taking Easy Forte. While it’s not a fat burner and it won’t boost your metabolism, Easy Forte will improve the conditions of your body to help you lose weight better and more naturally. Unfortunately, due to how little official information there is about this supplement, that’s about all we know about it. Easy Forte’s list of ingredients and side effects remain unknown to us, so we can’t tell you how effective it will be, or if it’s even safe. We don’t like to recommend products that we don’t really know anything about. Easy Forte’s ingredients and side effects are both mysteries, so we can’t recommend that you try using this supplement. Whats better than Easy Forte Review – Is it safe? Read full?